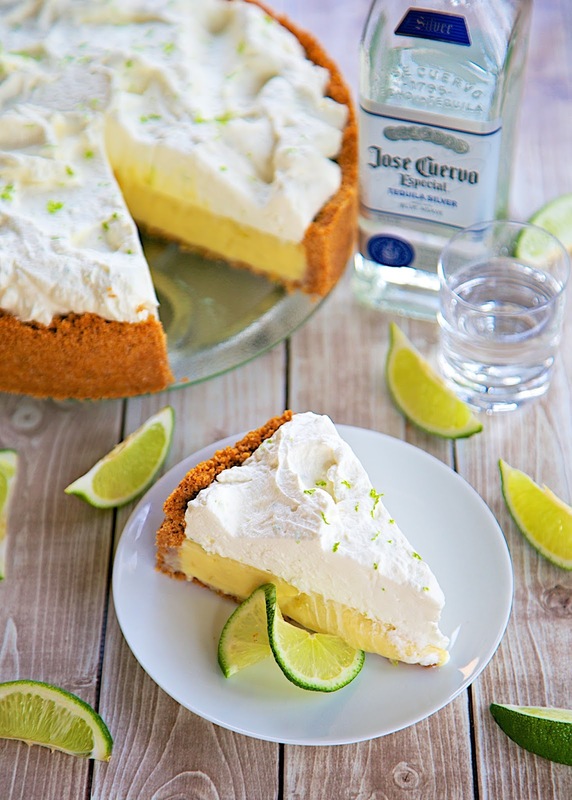 Tequila Key Lime Pie Recipe - cinnamon graham cracker crust, quick key lime pie filling kicked up with a hint of tequila and topped with homemade whipped cream. Perfect for Cinco de Mayo! Delicious Mexican dessert recipe. Need an amazing dessert for your Cinco de Mayo celebration next week? Look no further! 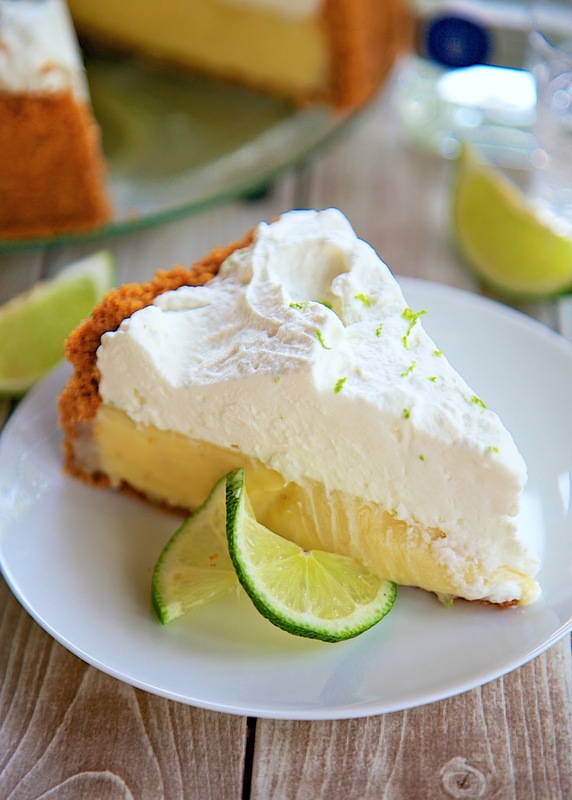 This Tequila Key Lime Pie is one of the best we've ever had! The crust has a hint of cinnamon and the key lime custard is kicked up with a shot of tequila. It was so good. I gave away half of this pie to a friend, and we gobbled up the remaining half. This pie can be made ahead of time and refrigerated for a couple of days. If you do make it ahead of time, don't make the whipped cream until you are ready to serve the pie. Combine graham cracker crumbs, melted butter, 1/3 cup sugar and 1 tsp cinnamon. Press against side and bottom of 9-inch springform pan. Set aside. Whisk together egg yolks, sweetened condensed milk, key lime juice, lime zest and tequila. Pour into prepared crust. Bake for 25 minutes. Remove from oven and cool completely. In the bowl of an electric mixer fitted with the whisk attachment, whisk together heavy cream, powdered sugar and vanilla until stiff peaks form. Spread on top of of pie. YUM!! I want to make this.